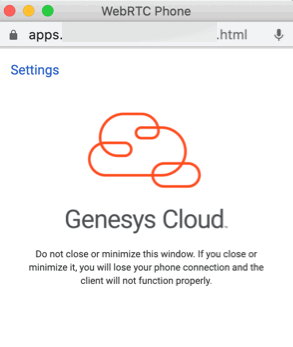 If you use Sales Cloud (or Service Cloud with the Pop WebRTC Phone window setting selected), then a separate WebRTC Phone window must be able to open. This window establishes and maintains WebRTC phone connectivity. Pop-up blocker prevents this window from opening.